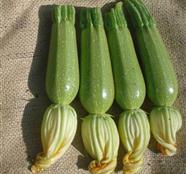 Compact highly productive variety with and open plant habit, and a low amount of petiole spines, for easy picking. Cruzer F1 is disctinctive being darker in color compared to other varieties from its segment, 12-14 long. With good tolerance to viruses, Cruzer F1 ensures continuous high quality yield.